Soonie's great-grandma was just seven years old when she was sold to a big plantation without her ma and pa, and with only some fabric and needles to call her own. She pieced together bright patches with names like North Star and Crossroads, patches with secret meanings made into quilts called Show Ways -- maps for slaves to follow to freedom. When she grew up and had a little girl, she passed on this knowledge. And generations later, Soonie -- who was born free -- taught her own daughter how to sew beautiful quilts to be sold at market and how to read. 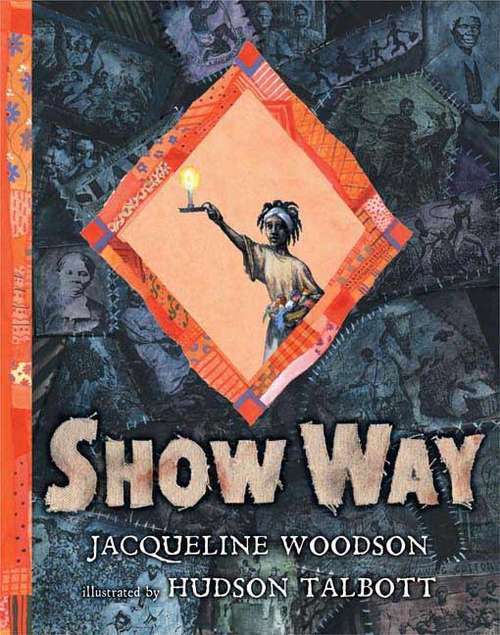 From slavery to freedom, through segregation, freedom marches and the fight for literacy, the tradition they called Show Way has been passed down by the women in Jacqueline Woodson's family as a way to remember the past and celebrate the possibilities of the future. Beautifully rendered in Hudson Talbott's luminous art, this moving, lyrical account pays tribute to women whose strength and knowledge illuminate their daughters' lives.